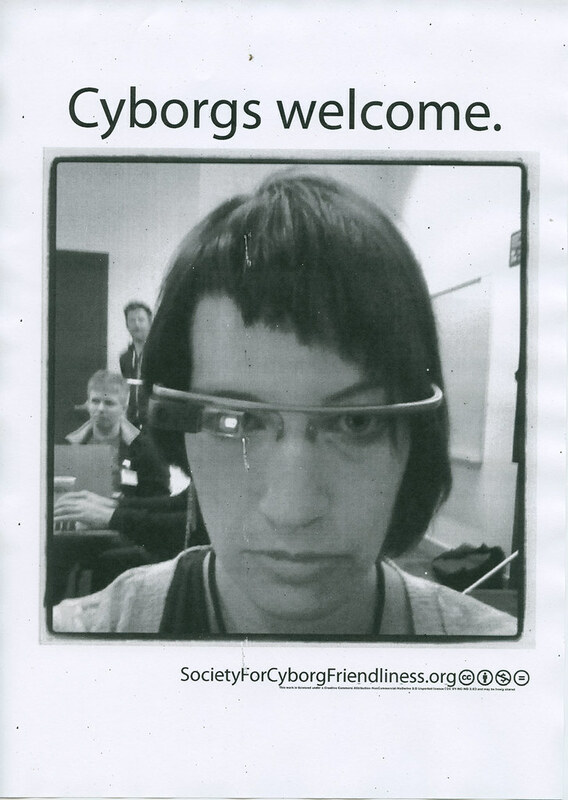 As opposed to others (http://stopthecyborgs.org/), we welcome cyborgs. Being busy entertaining himself with geeky humour, I guess Douglas forgot you might want to know the menu. Gnocci puttanesca - spicy tomato and olive sauce, served with salad and parmesan. Gluten free pasta available and can be served vegan. $17. 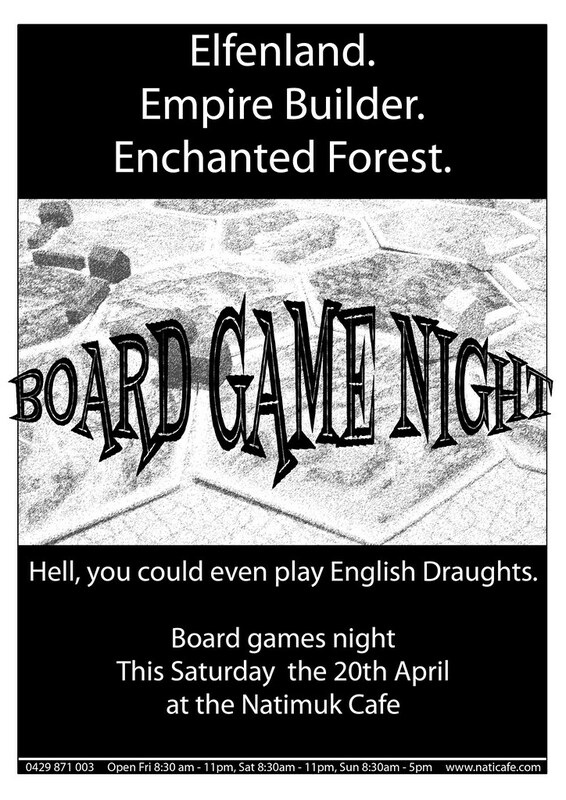 Ahhh ... any thoughts about the menu? and hopefully i will get onto a carrot cake and gluten free cake of some sort, time allowing. New improved menu with prices even! 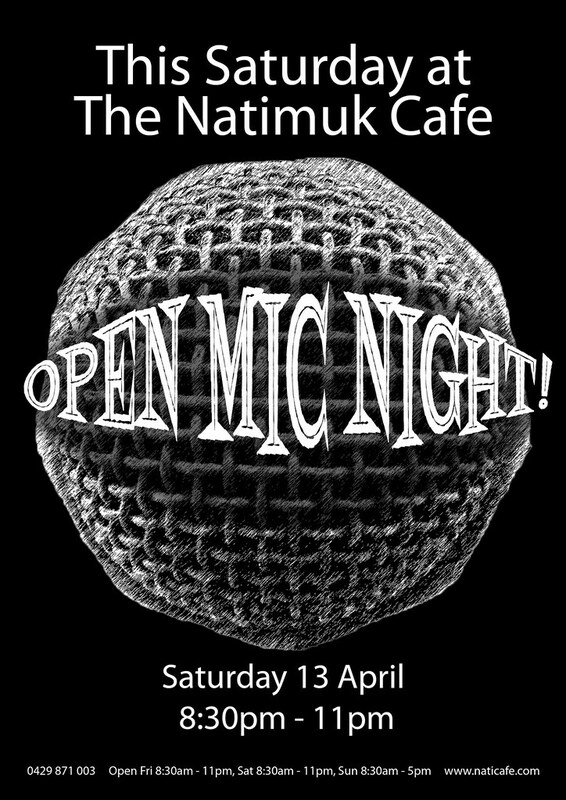 ...and the Open Mic Night Saturday from 8:30pm! We are open this Thursday for the long weekend. 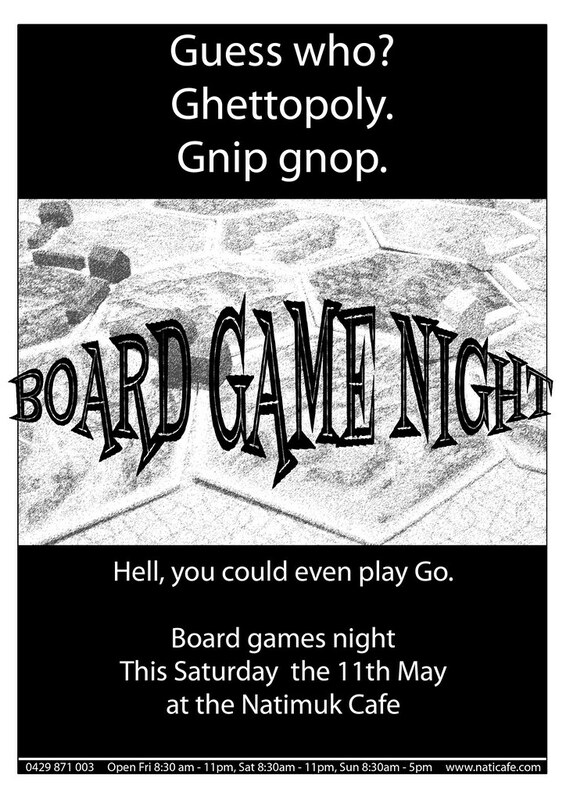 Winter is coming... board games night next Saturday. From Red Duck (craft brewers from Ballarat) we have a Hoppy Amber (not very hoppy but a nice amber), the Pale Rider - an interesting light flavoured pale ale - and the best of the three, The Tiger, a strong pale ale with quite some character. From Little Creatures a Single Batch Red Indian Pale Ale, well they call it an IPA but it's more a red ale with a blush of hops, and Bostons Mill Pale Ale, an American style pale ale with a nice amount of hoppiness. Who would have thought that not only would America become the leader of the craft brewing movement but that Australian brewers would start imitating not only their style but their labelling? Life is full of surprises. salivary glands are running amok after viewing latest menu update. Gonna be there soon to sample the fair.